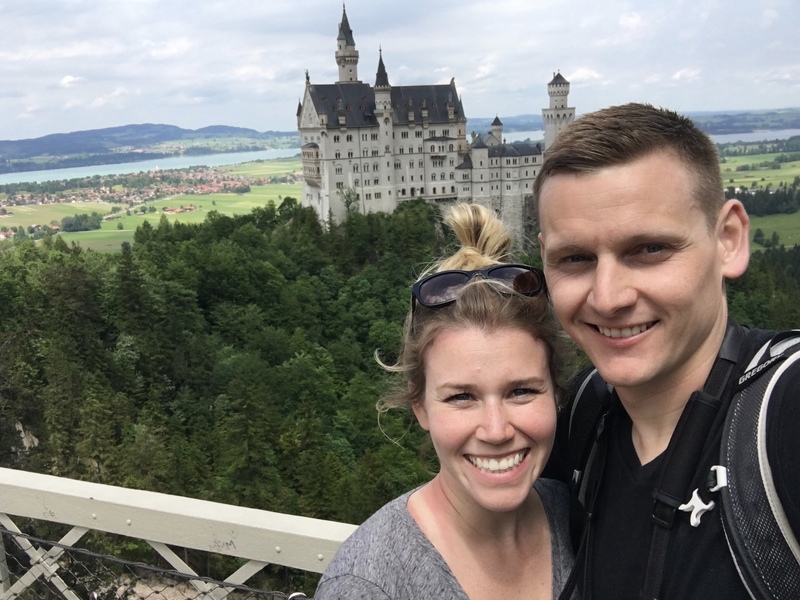 On our recent visit to Munich, it was an absolute priority that we took a day trip to see Neuschwanstein Castle in Southwest Bavaria. I’d admired pictures of it for years, after all, it was the castle that inspired Walt Disney’s Sleeping Beauty castle at Disneyland in California. 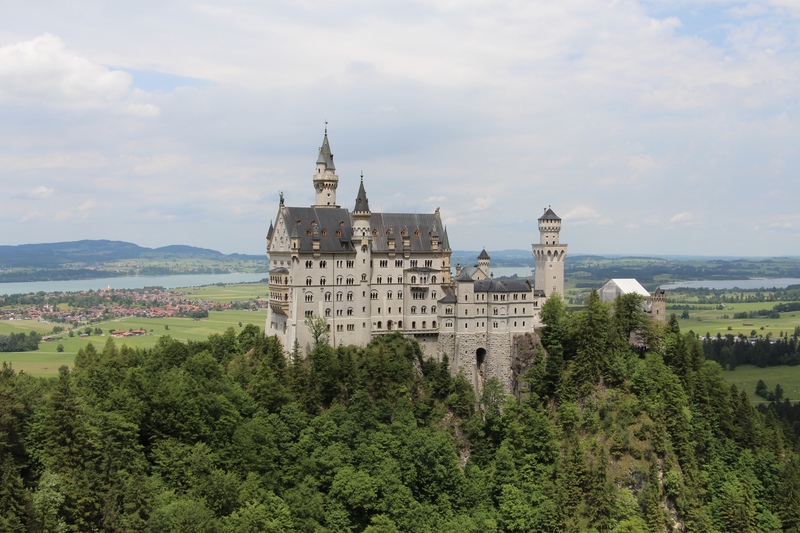 But although Neuschwanstein Castle looks like something out of a fairytale, it was actually built in the 19th century by King Ludwig II of Bavaria. 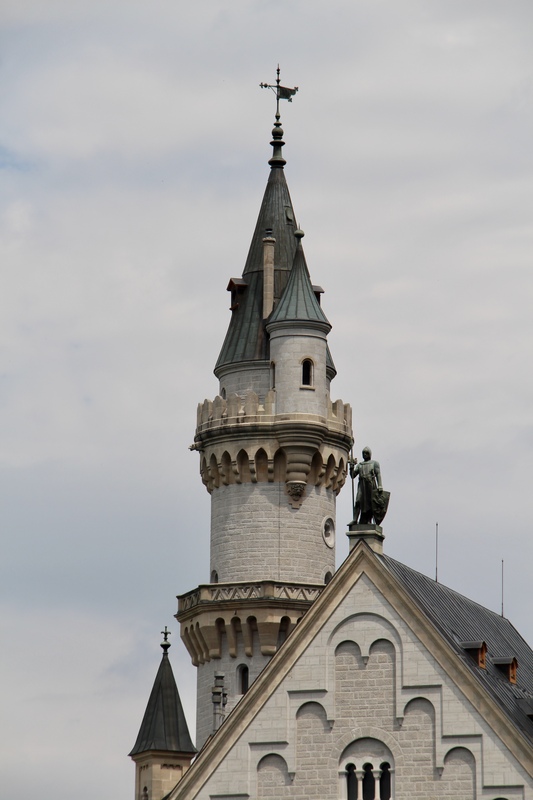 After Austria and Bavaria were conquered by Prussia during the Austro-Prussian War, Ludwig was stripped of his influence and power, so he commissioned Neuschwanstein to be built neighbouring his childhood home of Hohenschwangau Castle, so he could retreat amongst their royal-like spires and still feel like a king. 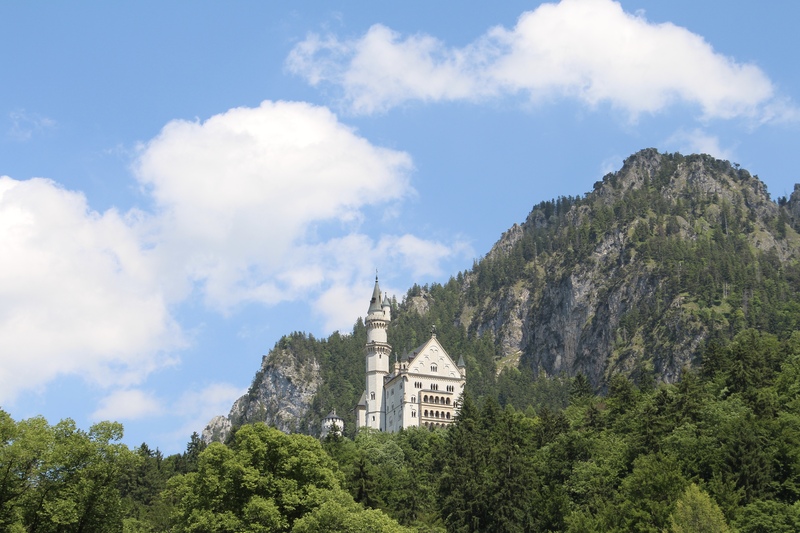 Ludwig passed away before he ever saw Neuschwanstein Castle completed, so shortly after it was opened to the public, and has been one of Germany’s most iconic attractions ever since. Tourists and travellers are drawn to it for it’s beauty, and for it’s stunning location settled in the hills of the Bavarian alps. There is no bad time to visit Neuschwanstein Castle. It looks stunning in the snow, surrounded by changing leaves, or in the bright greens and blues of Spring and Summer. 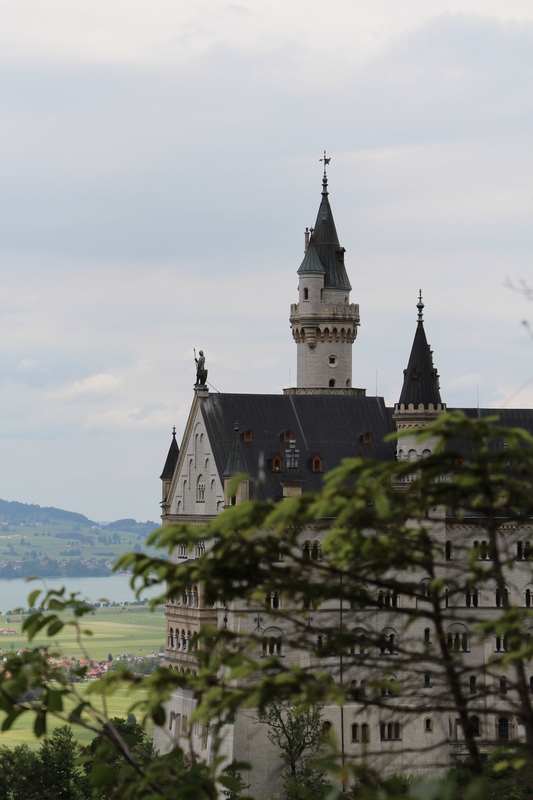 You can sign up for tours that take you to the castle from Munich, like this one from Mike’s Bike Tours, or you can venture there on your own by taking the train to the village of Hohenschwangau from Munich Hauptbahnhof, and then take a short bus ride to the base of the castle. There is a tram, or horse-drawn carriages if you’re so inclined, that can take you up to the entrance to the castle. You can also walk uphill, which takes around 20-30 minutes. 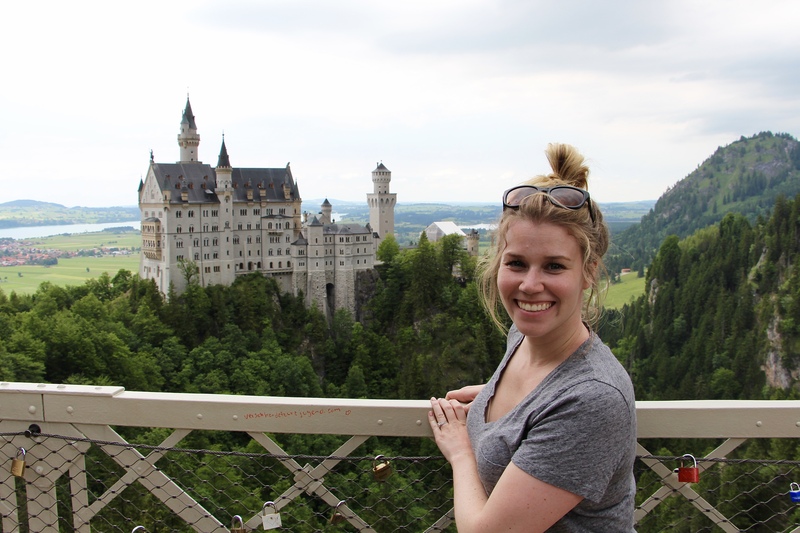 Visiting Neuschwanstein takes close to a full day. 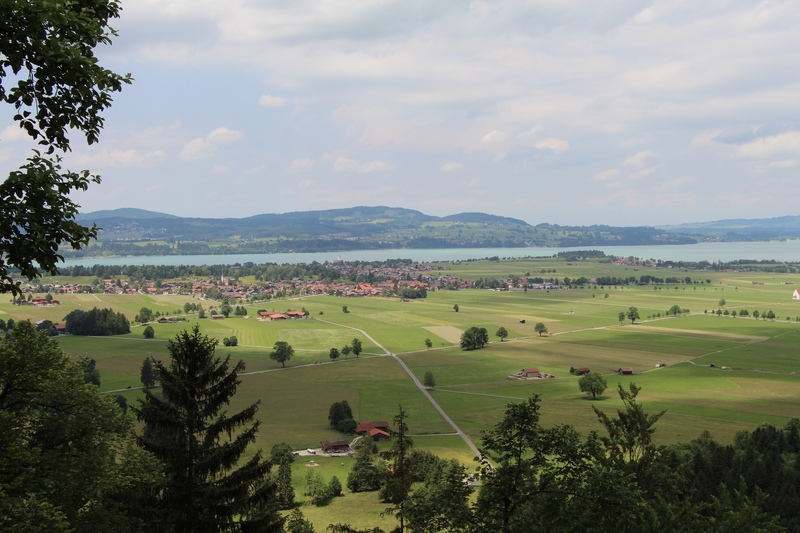 You definitely want to arrive early to beat the crowds if possible, and if you’re planning to see inside the castle, you need to purchase your tickets in advance, or at the Hohenschwangau station before boarding the bus to the base of the castle . You do not want to get all the way up to the doors of Neuschwanstein only to realize you cannot purchase tickets. 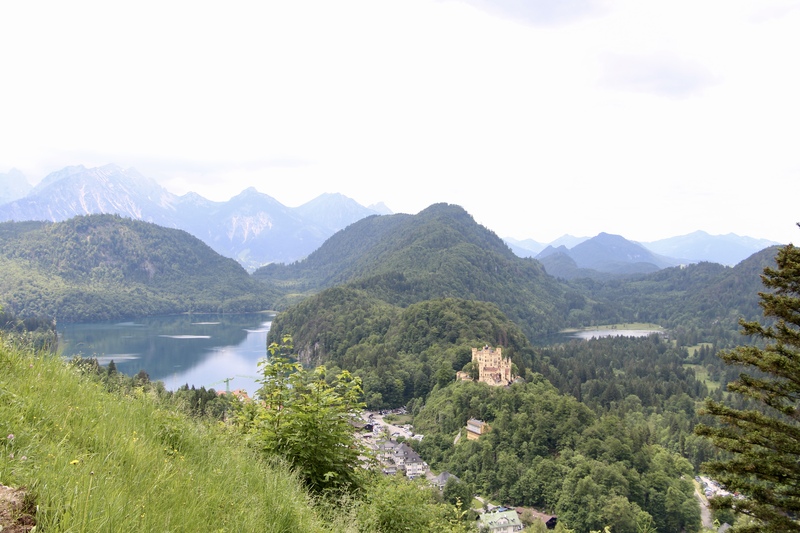 We didn’t feel the need to see inside the castle, and instead opted for a hike around the castle, taking in the views of not only Neuschwanstein, but of Hohenschwangau Castle and the valley below as well. However you visit, make sure to wear comfortable shoes and take the time to hike up to Marienbrücke (Queen Mary’s Bridge) for fantastic and iconic views of the castle! I’m definitely going to start reading your posts and following along as you write about your adventures! That is so kind of you. Thank you so much. I hope you would like it too.